Most pregnant women will have at least one ultrasound scan during her pregnancy. Typically speaking, the OB/GYN will order one around the middle of the second trimester, usually between weeks 16 to 20, to check the baby's measurements and screen for any problems. While modern ultrasound technology is relatively reliable, a scan which shows the all-clear sign doesn't necessarily mean that everything is okay. Similarly, a scan which raises a red flag could very well be a false alarm. As with all imaging tests, ultrasound results are subject to interpretation and prone to human error. Any misreading is unfortunate as it can cause extreme emotional distress for the parents and expose the baby and pregnancy to unnecessary interventions. Congenital defects, both major and minor, occur in around three percent of all births. Of these, roughly three out of four will be detected by ultrasound. The accuracy of these tests, however, is closely related to the stage and type of pregnancy involved. For obvious reasons, second-trimester ultrasounds tend to be more accurate in detecting fetal abnormalities than those done during the first trimester. With that being said, first-trimester ultrasounds can often provide the most information about the likely course of a pregnancy. A 2016 review of studies conducted by the University of Oxford and Université Paris Descartes concluded that early ultrasounds were able to detect fetal anomalies in around 30 percent of low-risk pregnancies and 60 percent of high-risk pregnancies. While closer surveillance may account, in part, for the higher rates in the latter group, the types of defects also tended to be more serious or involve multiple organ systems. While greater effort has been made to enhance the imaging clarity of ultrasounds, finer details can still be lost. If a woman is obese or has a multiple pregnancy, the clarity of the ultrasound may be further diminished. While an ultrasound showing no signs of trouble is definitely a good thing, it is not an outright guarantee your baby will be born free of health concerns. In the end, the skill of the attending technician plays a major role in the accuracy of the ultrasound. If ever in doubt about the skill of a technician, do not hesitate to ask for your OB/GYN or a specialist perinatologist to be present during the exam. On the flip side, ultrasounds are not infallible when it comes to making a positive diagnosis of a birth defect. In some cases, the imaging results may be misread (misclassified) or turn out to be nothing at all. One French study conducted in 2014 reported that 8.8 percent of congenital defects picked up by an ultrasound were wholly incorrect (false positive) and that 9.2 percent were misclassified. This rate was mirrored in other studies and accounts for why ultrasounds are never used alone when making a diagnosis. In some cases, an ultrasound may raise concerns about a problem but not offer enough information to make a definitive diagnosis. One such example is when Down syndrome is suspected. If a sonographic exam suggests the defect, a secondary amniocentesis can usually confirm the chromosomal anomaly with a high degree of accuracy. Debost-Legrand, A.; Laurichesse-Delmas, H.; Francannet, C. et al. "False positive morphologic diagnoses at the anomaly scan: marginal or real problem, a population-based cohort study." BMC Pregnancy and Childbirth. 2014; 14:112. DOI: 10.1186/1471-2393-14-112. Dicke, J.; Piper, S.; and Goldfarb, C. "The utility of ultrasound for the detection of fetal limb abnormalities–a 20-year single-center experience." Prenat Diagn. 2015; 35(4):348-53. DOI: 10.1002/pd.4546. Karim, J.; Roberts, N.; Salomon, L. et al. 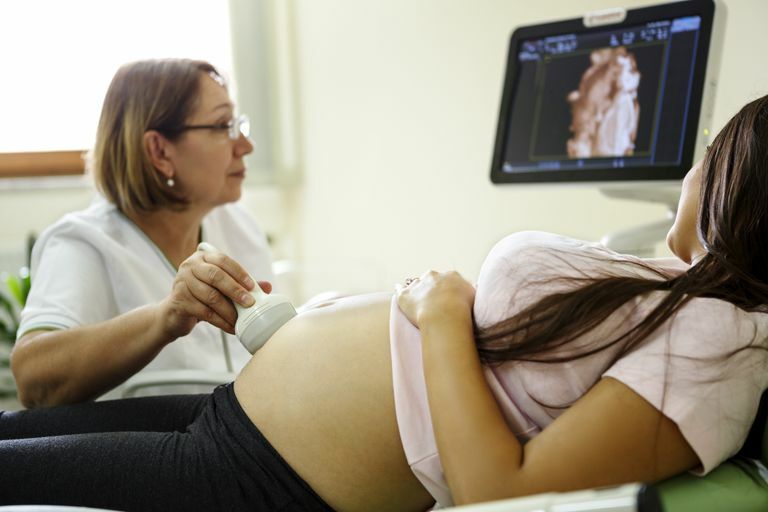 "Systematic Review of First Trimester Ultrasound Screening in Detecting Fetal Structural Anomalies and Factors Affecting Screening Performance." Ultra Obstet Gyn. 2016; 50(4):429-41. DOI: 10.1002/uog.17246.